Jacksonville got its start as a gold rush town. Gold was first discovered at Rich Gulch in 1851. As the news spread the area was inundated by gold miners seeking their fortunes. Before then, the area was populated by the Upland Takelmas native American tribe. They previously had limited interactions with white people outside of the occasional trapper. The influx of white settlers caused increased friction and eventually the native populations were removed from the area. That is until the railroad bypassed the town in 1884. 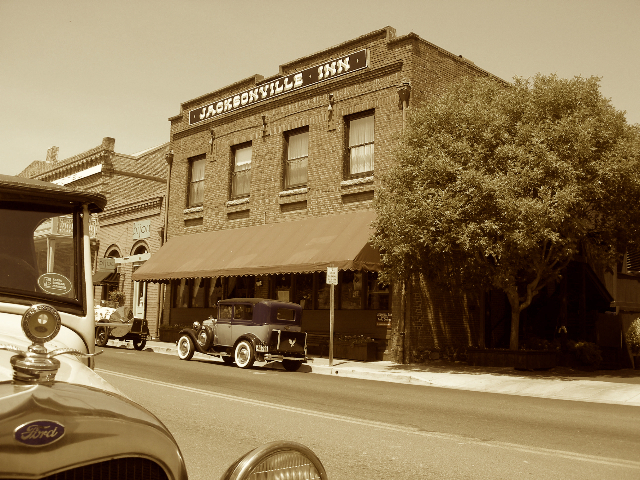 Jacksonville remained as the county seat and as the prominent town in Southern Oregon, however the boom was over and businesses and residents moved away over the next 50 years. Most relocated to Medford as it took Jacksonville’s place with its railroad stop. Most of Jacksonville is now a National Historic Landmark due to the preservation of so many of these buildings. At first it was preservation by neglect due to lack of economic incentive. Then, in the 1960’s folks who appreciated what Jacksonville was banded together to prevent the interstate from coming through town and started focusing on preservation efforts, leading to the National Historic Landmark designation. With over 100 structures included in the National Register of Historic Places, now residents are proud to help maintain the town and its history. You can take a virtual tour here. Self-Guided: You can download audio narration and maps for four historical self-guided tours: 1. Commercial District, 2. Residential, 3. Cemetery, and 4. Gold Mining History. Segway guided tour: Combine the contemporary thrill of riding on a Segway with an insightful overview of Jacksonville’s historic sites. If you can walk, you can ride a Segway. Check on details.